Discussion: I'm looking for a horror novel that will devastate me. Help! I have a humble request. I'm in the mood for something horrifying. Not just a little eerie or scary, but truly, utterly emotionally devastating. Preferably in the Young Adult genre, although I'm open to suggestion. 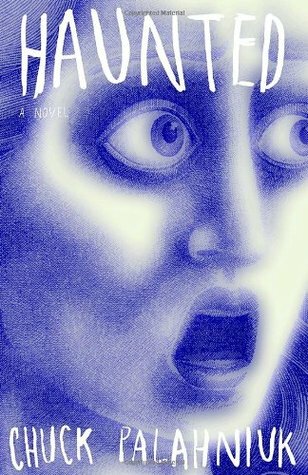 Haunted by Chuck Palahniuk is a novel made up of stories: Twenty-three of them, to be precise. Twenty-three of the most horrifying, hilarious, mind-blowing, stomach-churning tales you'll ever encounter--sometimes all at once. They are told by people who have answered an ad headlined "Writers' Retreat: Abandon Your Life for Three Months," and who are led to believe that here they will leave behind all the distractions of "real life" that are keeping them from creating the masterpiece that is in them. But "here" turns out to be a cavernous and ornate old theater where they are utterly isolated from the outside world--and where heat and power and, most important, food are in increasingly short supply. And the more desperate the circumstances become, the more extreme the stories they tell--and the more devious their machinations become to make themselves the hero of the inevitable play/movie/nonfiction blockbuster that will surely be made from their plight. 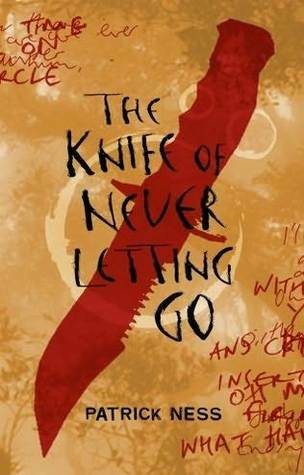 Or, for a Young Adult example (though I haven't read this yet, all accounts say it's just up this kind of alley), there's Patrick Ness' The Knife of Never Letting Go. Basically, I'm looking for something devastating. Something that deeply explores horror in a way that's psychological and lasting. Something that's going to linger with me like an old nightmare after I turn the final page. I love the kind of stuff where the characters live through unspeakable horrors--not necessarily perpetrated by a monster, but by the ravages of their own species. Something with bite. Something where the characters suffer in every way possible and grapple with the very nature of their existence. Hopefully this is specific enough. Don't get me wrong, I love horror of other kinds. Creature things, vampires, dystopian wastelands. All of those could apply here, but I'm looking for a special kind of twisted. Serial killers who create zombie love slaves. Torture and sacrifice. The kind of horror that has so many elements of the real, it could conceivably happen outside of your door (though this doesn't exclude well-done supernatural books, of course). So, anyone have a recommendation for me? You where very specific, and i really cant think of a Ya book that fits the description. I can however recommend you Jonathan Kellerman's: "Alex Delaware" novels. Psychological thriller at its finest. Sorry i couldn't provide more! Ha, I know. I have weird tastes. Thanks for the suggestion! Those sound great!